Yet another change of name for this website. I've never been happy with the "Atheism" tag because I agree with Lawrence Krauss that "we should not buy into absolutes." Looking at things from a scientific perspective, things are either likely or unlikely. I think that it is extremely unlikely that there is a God, or that the Bible is inspired. But to shut the door on a possibility is not intellectually honest. That is NOT how the scientific method operates. Lawrence's new movie with Richard Dawkins is called "The Unbelievers" and as I am trying to develop my friendship with Lawrence I know that he will be pleased with the new title for the blog; which incidentally he has looked at. 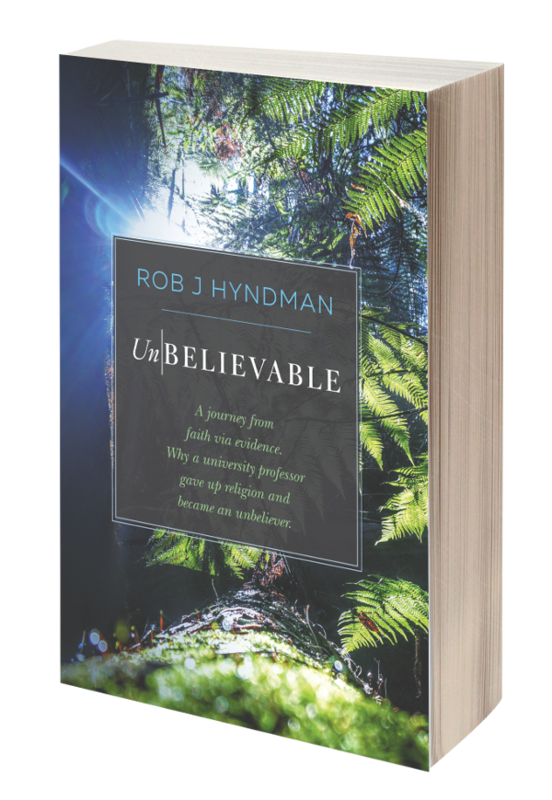 I especially like the word "Unbeliever" because it is the name that Rod Hyndman has chosen to call himself. I think that it was a wise choice by him. Calling this blog "Christadelphian Unbelievers" is not an effort to hijack his neologism; but rather it is an acknowledgement by me that he made a smart move that I admire. Rob is a major new player in the community of those who reject Christadelphian thinking. We need to take his views into account. We don't necessarily have to follow them, no more than anyone has to follow my ideas; but the key people in the movement need to stake out their position on issues and they need to be considered by everyone. Leading brethren and sisters in the Christadelphians who are thinking of deconverting should also make their move soon; so that they can help to formulate the new movement during its early years. We need your help to sketch out the future of the Christadelphian community after the key beliefs have been jettisoned. There is no long term future for traditional Christadelphianism. The faith based thinking has to go; because it is not based on credible evidence or rational thinking. Christadelphian deconverts have struggled to find a descriptive name that we agree on and consequently we have "Former Christadelphians" "Ex-Christadelphians" "Out of Fellowship Christadelphians" "Christadelphian Atheists" and even one or two other neologisms. If we merely call ourselves "Unbelievers" as Rob has done, we lose the precious connection with the brethren and sisters and the community that we love and admire. Many deconverts want to break that link; so they might want to continue to think of themselves as Ex-Christadelphians. But in doing so they have kept the link; so they are no further forwards. I suggest that those who want to keep the link call themselves "Christadelphian Unbelievers" and those who want to break the link call themselves "Unbelievers." Either way they can still think of this blog as a resource that supports their thinking. I suggest that Rob changes his neologism to "Christadelphian Unbeliever" to strengthen his links with the community that he loves. The other advantage of "Unbeliever" is that it is more elastic and inclusive than "Atheism." Even deconverts who retain a belief in the Divine can identify with the name. I have no problem with Unbelievers who think rationally yet still believe in God. Unbelief is a wide spectrum of opinion and we need to include all shades of thought. The new name will also make it easier for those who deconvert from the Christadelphians. No longer do they have to move to the extreme of Atheism which might be a step too far for them. Nor do they have to think of themselves as Ex-Christadelphians which might offend friends, relatives and spouses. Christadelphians in general might not like the idea of us being Unbelievers; but I'm sure they would rather that, than we identify ourselves with Atheism. Christadelphians reject Atheism because it represents a lack of belief in God. I reject Atheism because it represents a lack of belief in science. Christadelphians are laughing at us because we can't settle on a new name for our movement of unbelief in Christadelphian teaching. I will remind them that it took many years for Dr John Thomas to settle on the name "Christadelphians." We are the future of Christadelphianism because we have truth on our side. As John Thomas remarked "The name is not important, it is the ideas that matter." I agree with him.